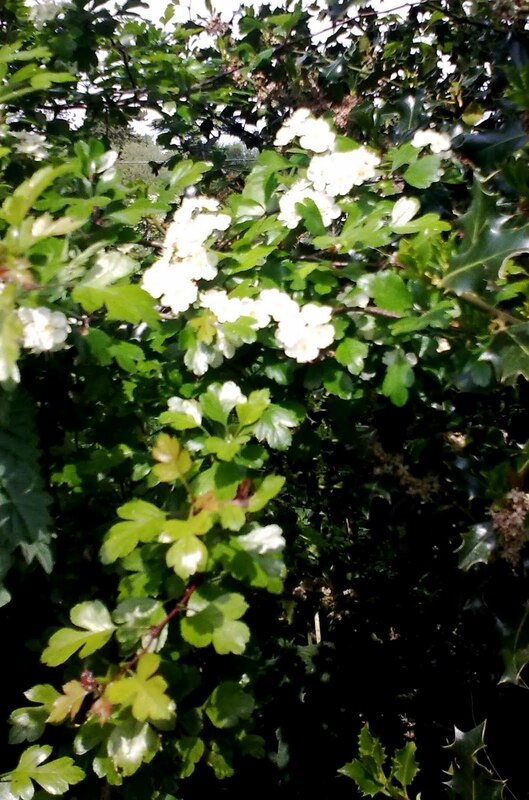 It’s the time of the May-flower or Hawthorn (Crataegus monogyna). 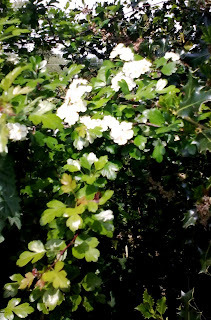 The hedges and country lanes about my home are now full of their white blossom true to their name. This is a plant full of mystery, such as a link to the early Christians who associated it with Joseph of Arimathea (owner of the tomb given up to Jesus after the crucifixion) (1); It is said that he visited Glastonbury where he planted a staff that sprouted to produce a ‘Holy Thorn’ that blooms around Christmas time, and from which cuttings have grown and still occur in the area (2). But until this spring I was unaware of another, more botanical mystery. Mary, a local botanist popped in to see me this week with a cutting from what she called ‘Two-styles Hawthorn’. This is actually an alternative name for the Midland Hawthorn (Crataegus laevigata), although I prefer its more apt original name. This is a less common species of hawthorn and is characterised by having two or three styles compared with the Common Hawthorn’s single style (hence the second part of its Latin name, monogyna). During the autumn they can still be distinguished by crushing the ‘haws’ and counting the seeds; if there is more than one seed it will be a Midland Hawthorn, reflecting the flowers style number. 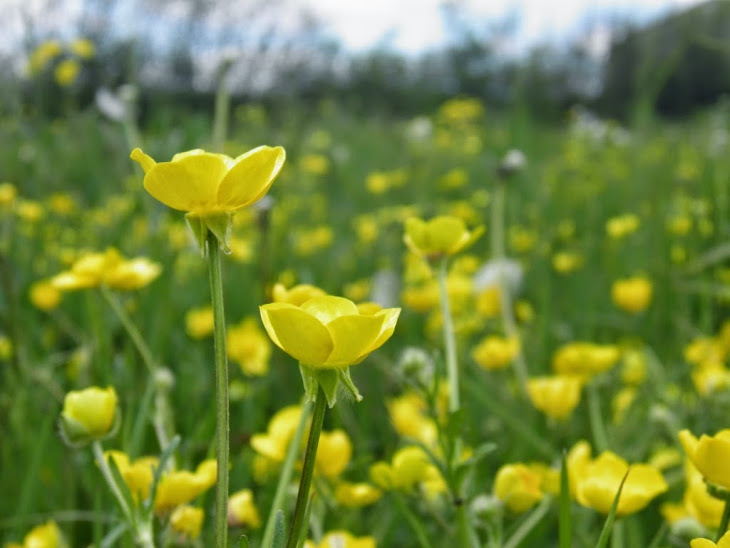 Its leaves are also different with the lobes far more rounded and less deeply cut to the mid-rib. It is true that it occurs commonly across much of the Midlands, but it is also as frequent in the South East. However beware as the differences can get rather blurred as they frequently cross to produce hybrids. Otherwise the Midland Hawthorn tends to bloom earlier and prefer more shaded woodland. So next time you are admiring may blossom, have a closer look and check out the styles. It gets a bit addictive - although my neighbours are getting increasingly suspicious of my actions.